Another brave patriot gave his blood in return to save the homeland from terrorism. On Sunday morning the news of bomb blast in Shadi Khan where Home minister Punjab's Dera( Political office) was located flashed on TV screens. After hours of struggle the authorities confirmed death of provincial minster and DSP along many died and injured. Rescue and administration officials confirmed the death toll, adding that at least 17 other people were injured in the suicide blast, while rescue workers were still trying to recover the injured and dead from underneath the rubble. According to reports, a jirga (open court) was underway at Khanzada’s political office in his native Shadi Khan village when the suicide attacker detonated his explosives. The blast caused the roof of the building to collapse under which the provincial home minister was trapped for several hours. Several people were still trapped under the debris with rescue workers busy trying to rescue them. The ISPR said that special search and rescue team equipped with high-tech machinery was aiding in the rescue operation in Attock. Funeral prayers of the martyrs were offered in Attock Police Lines on Sunday night and attended by Chief Minister Punjab Shahbaz Sharif, Interior Minister Chaudhry Nisar Ali Khan and CM Khyber Pakhtunkhwa Pervez Khattak among others. A former army-man, Khanzada assumed charge of the Punjab Home Ministry in October last year and was a major force in leading the law enforcement and security apparatus in several anti-terrorism operations. The provincial home minister was also the commander of the National Action Plan (NAP) in Punjab to combat militancy and terrorism. After graduating from Islamia College Peshawar in 1966, Khanzada joined the Pakistan Army in 1967. He later took part in the 1971 war that led to the creation of Bangladesh. Elected two times and remained in assembly. Sources in the interior ministry claim that banned outfit Lashkar-e-Jhangvi (LeJ) has taken responsibility of the suicide attack on Khanzada. 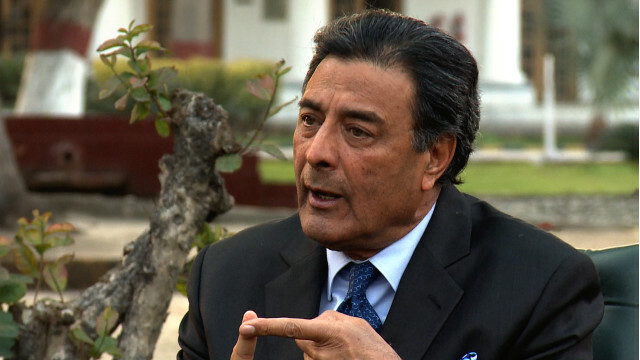 They alleged Khanzada was under threat following the killing of LeJ chief Malik Ishaq in July. A government official said police could not rule out the involvement of banned sectarian militant outfits against whom the government had launched a crackdown.